Ingredients: cocoa mass, sugar, cocoa butter, emulsifier: soy lecithin, natural vanilla. Added ingredients: caramelised hazelnuts (cocoa solids 55% min). Allergy information: Contains nuts & soy. Suitable for vegetarians. Gluten free. 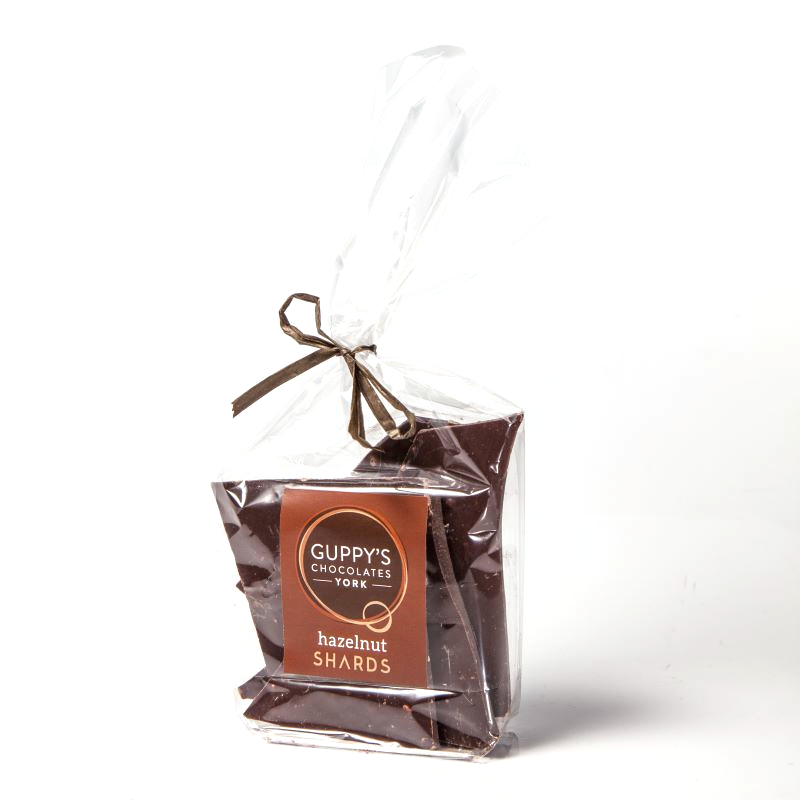 We add small, crunchy pieces of caramelised hazelnuts to our hazelnut shards. Heaven for nut-lovers!